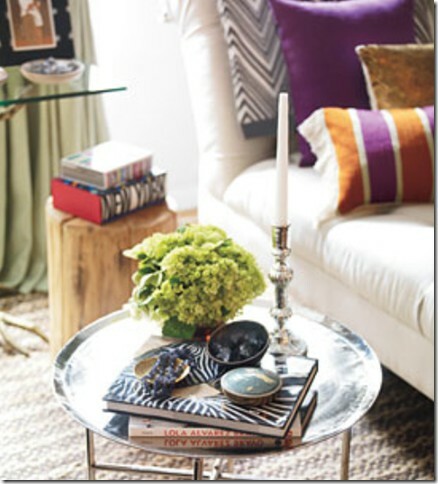 I do so love a well styled bookcase or tabletop. 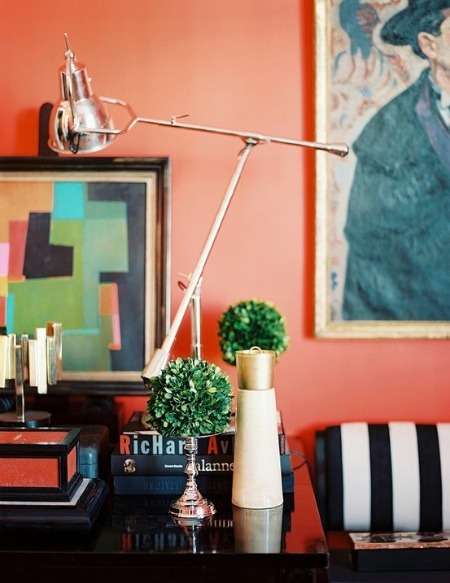 We all know that decorative accents and details help to "finish" the look of a space. 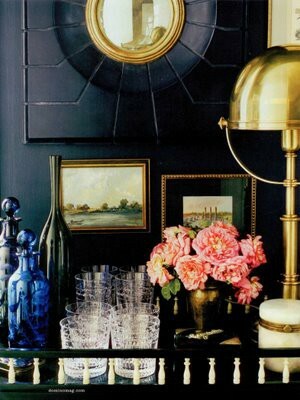 If you're anything like me, once you view the gorgeous images I've compiled below you'll probably want to immediately go-a-styling in your own spaces. 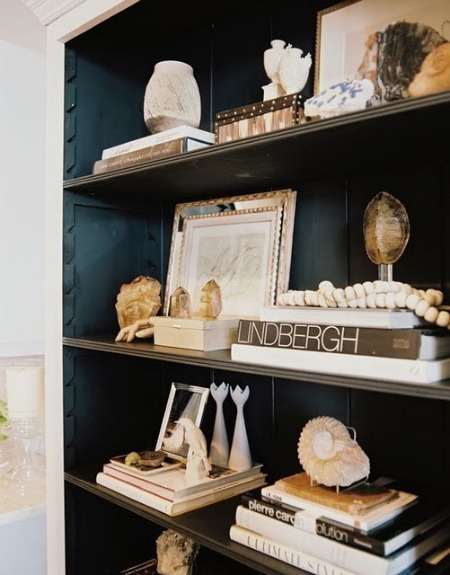 Love the chromatic graduation used in these shelves: first for the book organization and then echoed in the grayscale print. 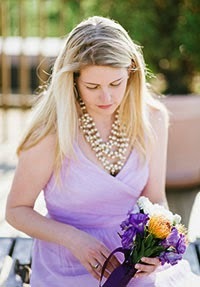 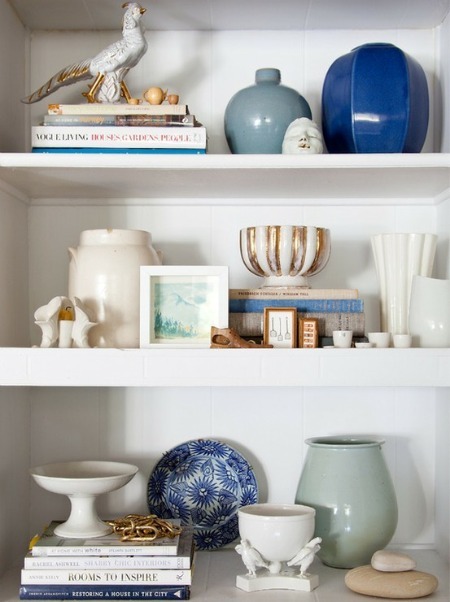 Neutral accessory pallet combined with a rich marine blue is perfection. 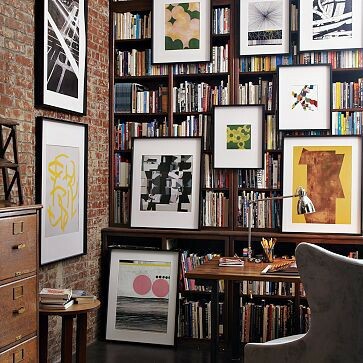 Still adoring the hanging of artwork against bookshelves. 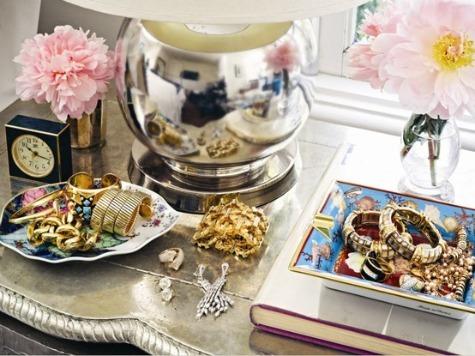 These little tableaus are low key and fabulous! 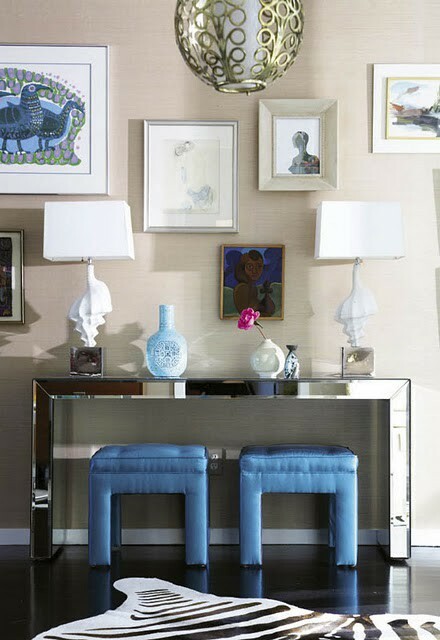 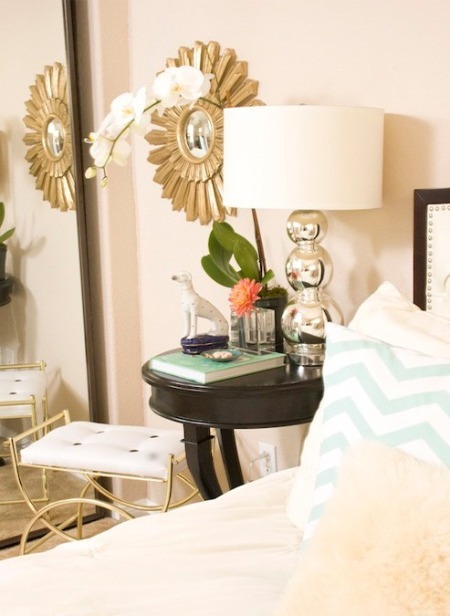 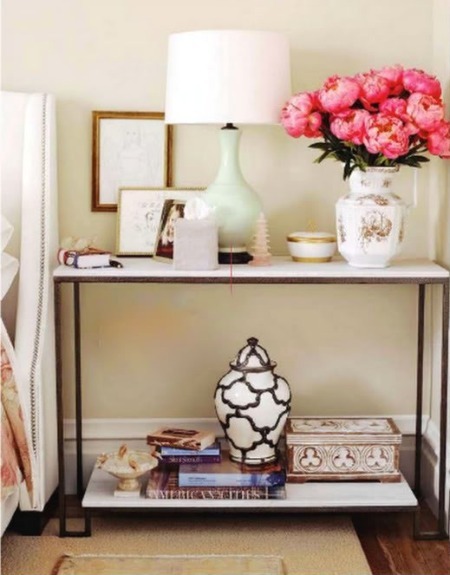 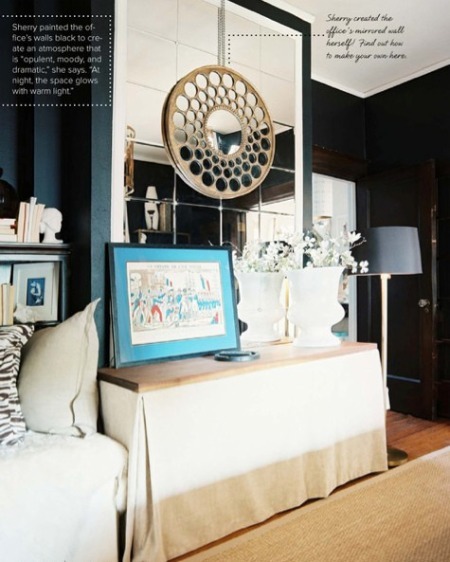 Bold use of color on the wall is perfectly accented on this console table. 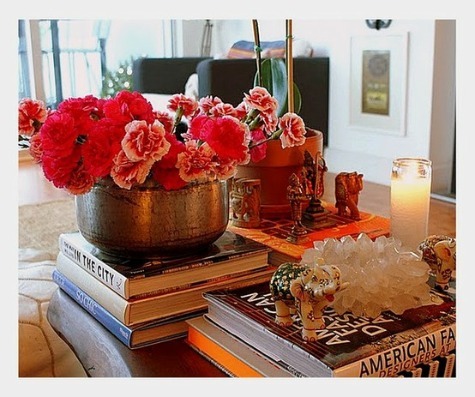 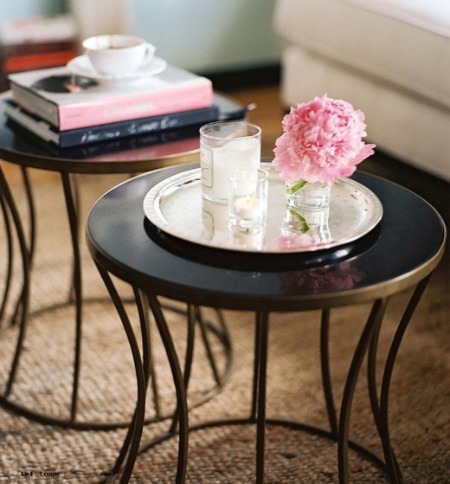 Love the way stacked books gives height to more accessories on this coffee table. 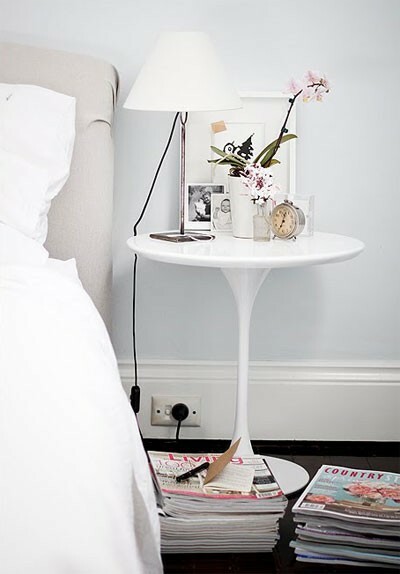 Can the entire bedside table and all the accents come home with me?